In 1836, Nova Scotia was a British colony, still more than a decade away from responsible government and closer in time to the War of 1812 than to Confederation. Nova Scotia was peopled mostly by British settlers, and in the last decades of the eighteenth-century had experienced an influx of newcomers (United Empire Loyalists) as a result of the American War of Independence. Thomas Chandler Haliburton's family, as aristocratic, Loyalist, Tory Anglicans quickly established themselves in Nova Scotian society. Thomas' father William became a judge, and a member of the legislature, as did Thomas after him. Educated at the best schools and given the opportunity to travel, Thomas Chandler Haliburton was a member of the ruling class of the colony. Thomas and his wife Louisa owned a gracious home named "Clifton" on the outskirts of Windsor where, along with his professional responsibilities, they farmed, mined gypsum and raised eight children. 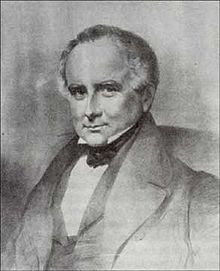 In his last years, Thomas Chandler Haliburton moved to England and became a Member of Parliament until his death in 1865. 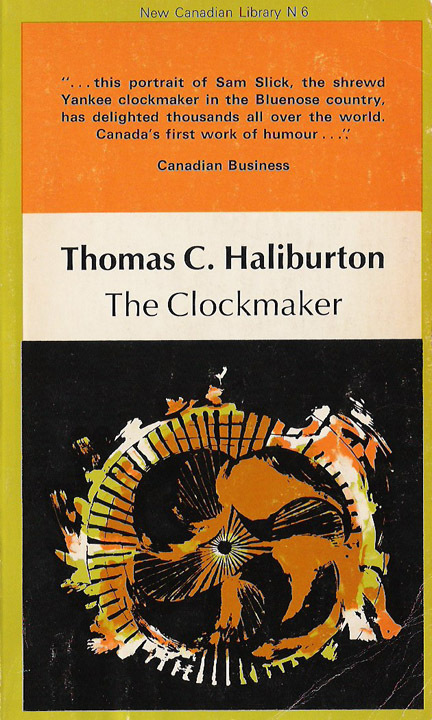 Initially published as a series in a newspaper beginning in 1835, Thomas Chandler Haliburton's The Clockmaker was anonymously published in book form a year later. As the subtitle describes, The Clockmaker consists of The Sayings and Doings of Sam Slick of Slickville. Sam is an itinerant pedlar and clockmaker from New England who travels the roads of Nova Scotia selling his clocks. The story is narrated by an English gentleman known only as "The Squire" who is making a tour of the colony on horseback. The Squire is initally annoyed by Sam and tries to avoid his company, but unable to shake the brash Yankee, he is gradually seduced by his charms and by the end of the story is making plans for a reunion tour. Sam is thrilled to have such an eager listener to whom he can demonstrate his cunning salesmanship, and to whom he can pontificate on any and all problems encountered by Nova Scotians. 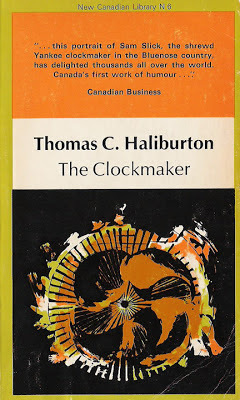 Although this work is known as the first international bestseller by a writer born in what would become Canada, The Clockmaker has not endured well for a modern audience. Stylistically, this is a difficult book to read. Sam Slick's voice is recorded in his strong Yankee dialect which often makes it necessary to read aloud to decipher meaning. Lack of punctuation means that an entire conversation can be recorded in one paragraph, making it difficult to follow speakers. Much of the context for the discussion is obscured by time, and references which would no doubt have been easily understood by the contemporary audience are now vague. "I never seed any folks like 'em except the Indians, and they won't even so much as look; they haven't the least morsel of curiosity in the world; from which one of our Unitarian preachers (they are dreadful hands at doubtin', them - I don't doubt but some day or another, they will doubt whether everything ain't a doubt), in a very learned work, doubts whether they were ever descended from Eve at all. Old marm Eve's children he says, are all lost, it is said, in consequence of too much curiosity, while these copper-coloured folks are lost from havin' too little How can they be the same? Thinks I, that may be logic, old Dubersome, but it ain't sense: don't extremes meet?" "This place is as fertile as Illanoy or Ohio, as healthy as any part of the globe, and right alongside of the salt water; but the folks want three things - Industry, Enterprise, Economy. These Bluenoses don't know how to vally this location; only look at it and see what a place for bisness it is: the centre of the Province; the nateral capital of the Basin of Minas, and part of the Bay of Fundy; the great thoroughfare to St. John, Canada, and the United States; the exports of lime, gypsum, freestone, and grindstone; the dykes - but it's no use talkin'; I wish we had it, that's all. Our folks are like a rock-maple tree: stick 'em in anywhere but eend up and top down, and they will take root and grow; but put 'em in a rael good soil like this, and give 'em a fair chance, and they will go ahead and thrive right off, most amazin' fast, that's a fact. Yes if we had it, we would make another guess place of it from what it is." "I guess," said the Clockmaker, "we know more of Nova Scotia than the Bluenoses themselves do. The Yankees see further ahead than most folks; they can e'enamost see round t'other side of a thing; indeed, some of them have hurt their eyes by it, and sometimes I think that's the reason such a sight of them wear spectacles." Well, I must admit that it was difficult to remain objective reading some of the material in this book, for it was offensive. I found nothing even vaguely amusing about husbands beating their wives into submission, of slaves being beaten by their masters, of Jews, Irish and Catholics being singled out for ridicule and discrimination. I found Sam Slick an annoyingly disturbing braggadocio who failed on all counts to humour, educate or inspire. I would recommend this book to all students who happen to find this book on their Early Canadian Literature course syllabus. Otherwise, don't bother. 1. Sam Slick in Pictures: The Best of the Humour of Thomas Chandler Haliburton. 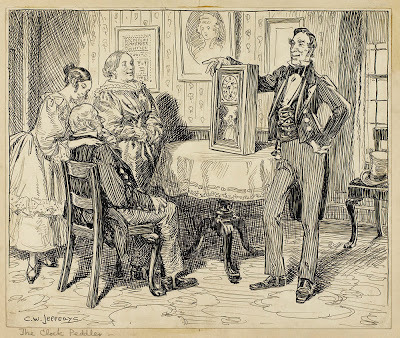 Illustrated by C. W. Jefferys, R.C.A., L.L.D. (1956), page x.